In keeping with the major storm that just brought so much havoc to the east coast, I thought I’d touch briefly on how comics, in one form or another, have informed us about the subject of hurricanes. 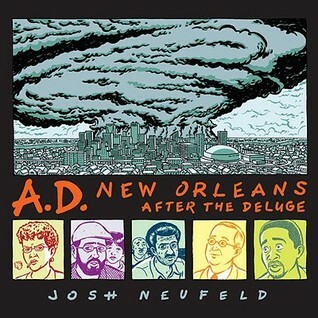 In vivid fashion, you can discover the Eisner and Harvey Award nominated graphic novel and webcomic series A.D.: New Orleans After the Deluge by Josh Neufeld. This outstanding New York Times bestseller focuses on a diverse group of gulf coast citizens, following their true story battles against the ravages of Hurricane Katrina. Another graphic novel worth checking out is the visually appealing and aptly titled Hurricanes, written by Gary Jeffrey and illustrated by Mike Lacey. 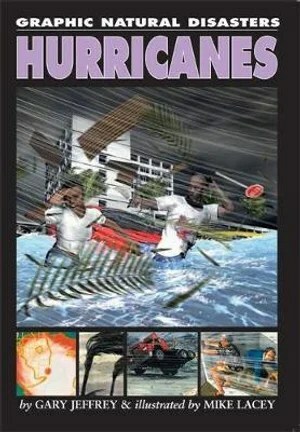 This book tells the story, through comics, about three of the most infamous hurricanes of the last 80 years. They include the unforgettable Labor Day Hurricane back in 1935; Hurricane Andrew that devastated Florida and the Bahamas in 1992; and, of course, a tragic Hurricane called Katrina in 2005. And then there are the several comic book characters named “Hurricane” who have sprung up over the years. 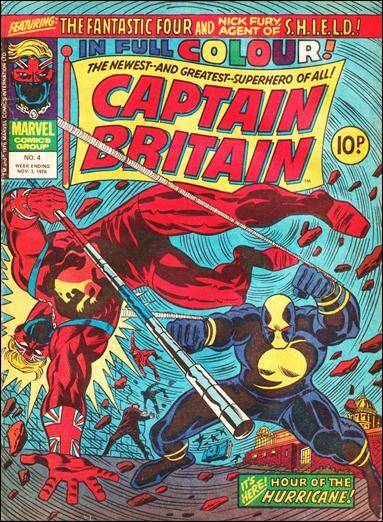 Perhaps the best known is Albert Potter or “Hurricane”, the former meteorologist and enemy of Captain Britain–United Kingdom’s answer to Captain America, published by Marvel Comics. Undoubtedly, and rightly so, someone soon may create another graphic novel about our hurricane Sandy. And how about a superhero to help fight it, too?